I am that type of parent that’s not overly enthusiastic about children’s toys taking over the livingroom, but sometimes you have to make an exception. When it’s your daughters 2nd birthday, for instance. 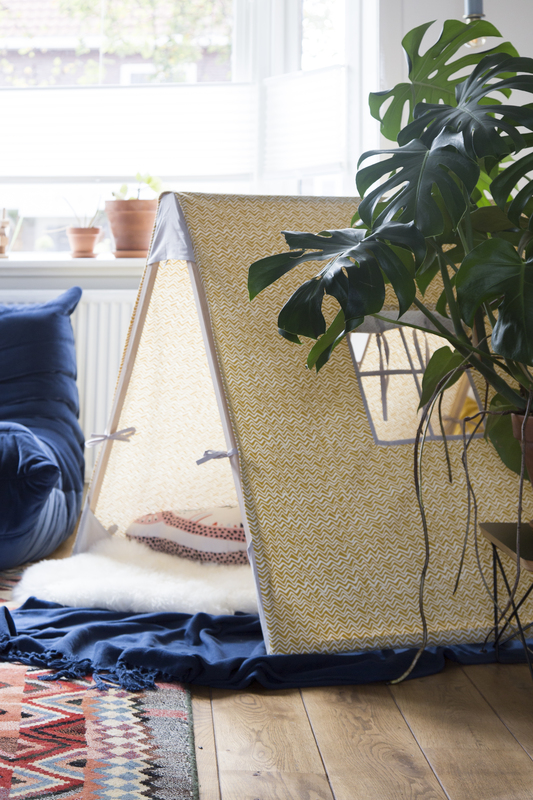 So while at first we didn’t want to do a big gift, we ended up with this super cute play tent by brand I love Ferm Living. We got some clues along the way Mia would love a tent, so okay, a tent it should be. A while ago I came across this tent and shared it on my Instagram. I asked for advice what color I should get with 3 options: pink, brown or yellow. I really couldn’t choose and the Instagram poll turned out 31/32/33 so that wasn’t much of a help either. And while a week later I finally decided on the brown, I didn’t anticipate that my daughter would have a very strong opinion about this. I kinda showed her for fun but really, yellow. 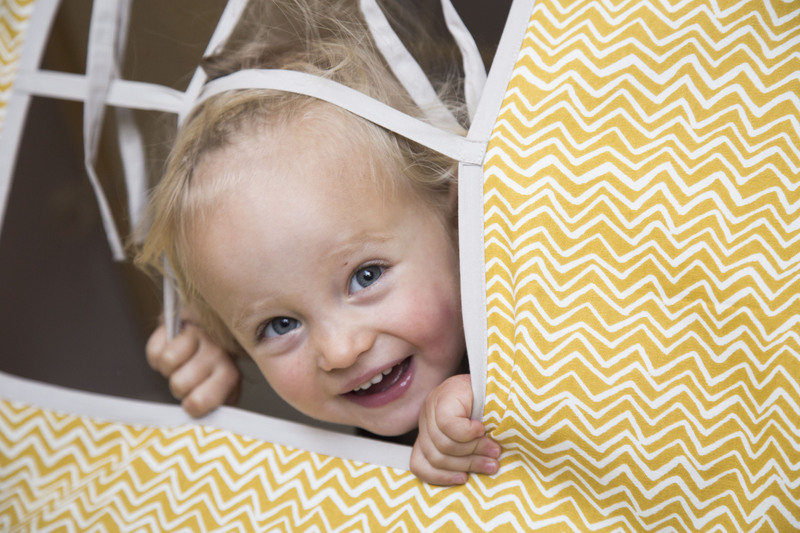 I have no idea if she understood what it was about, but there was no doubt about it: she wanted the yellow tent. Allright kid, yellow it is! As you might know I have been experimenting with color a lot in the last year, and as it turns out yellow is perfect. 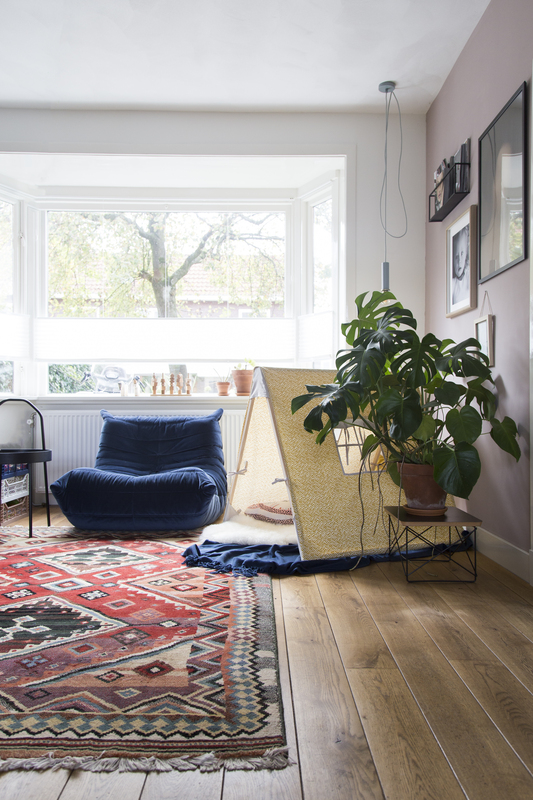 This blogpost will also offer a sneak peek into the change I made to our livingroom, as you see our new rug! But more on that later. 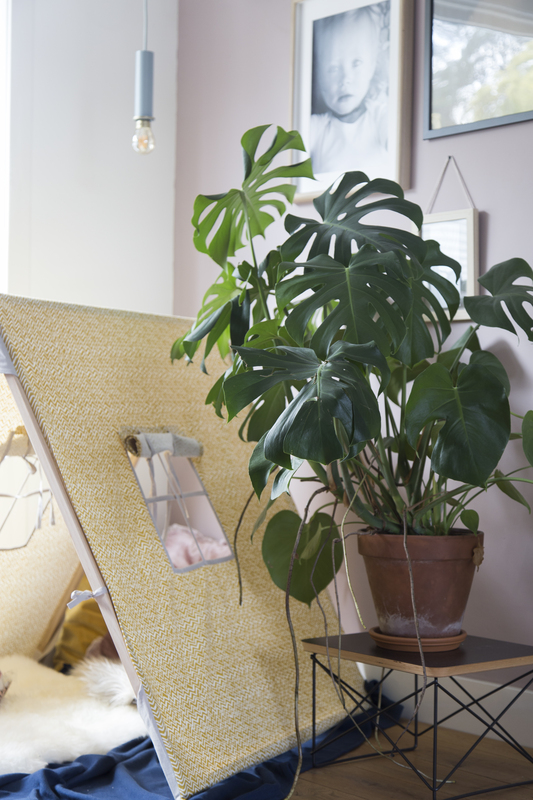 While of course we will put this adorable play tent in her room later, at first I really adore it here. 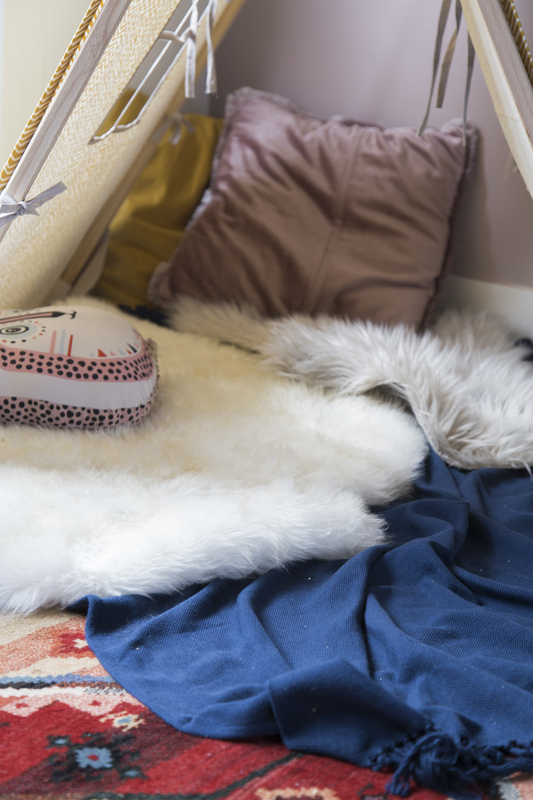 I simply threw some sheepskin, plaid and pillows in there and it’s such a cosy area for her to play in now. Like I said, I simply gathered some pillows and plaids we werent using anywhere else and threw them it. 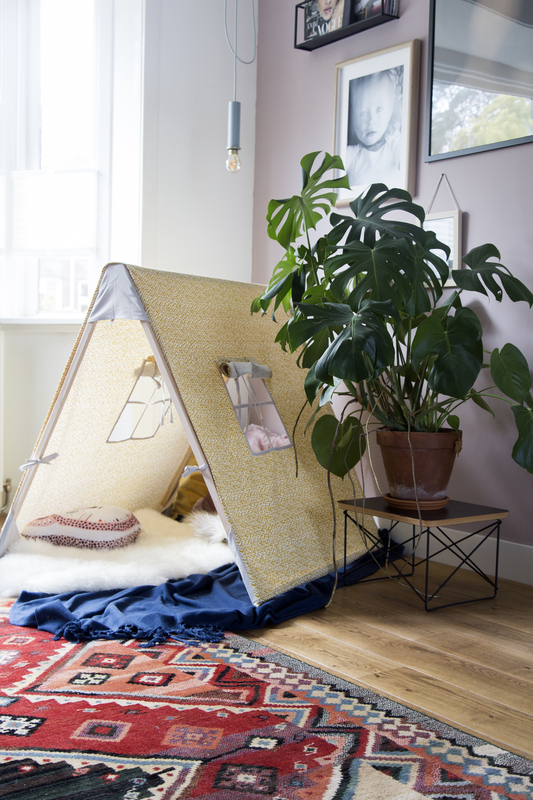 I feel tents like this should be as comfortable as possible, especially if you put it on a wooden floor like we have. I am so looking forward to many more play hours inside this tent. PS. This post is written as part of a longterm collaboration with fonQ.nl. I only work with brands/shops I love.